[Daily Mail] The woman at the centre of a ‘too fat to fly’ controversy has announced that she is suing Southwest Airlines, who refused to allow her on a flight in April 2011. New Orleans resident Kenlie Tiggeman is taking on the airlines controversial ‘Customers of Size’ policy which requires passengers to buy a second seat if they can’t fit between the 17-inch wide armrests. While she is not seeking monetary damages from the airline, Tiggeman has claimed that she wants to enact an industry wide standard for rules to be put in place clearly stating the official policy of all U.S air companies. ‘We need to know what the ……. [MACLEANS.CA] It is the country’s biggest and most dysfunctional airline, at war with its unions, losing money and protected by Ottawa. There may be only one way out. The Air Canada back-to-work legislation, passed March 14, was meant to spare Canadians from the nightmare, both personal and economic, of a crippling strike by ground workers and a lockout of pilots at the country’s biggest airline. So far, however, it’s only made a bad situation worse, fuelling more labour hostilities and chaos for passengers. As they returned from March break, sun-seekers still faced long delays after an unusually large number of pilots called in sick. A few days later, dozens of flights were delayed or cancelled after angry baggage handlers in Toronto launched another wildcat strike—this time in apparent retaliation for Air Canada’s decision to discipline three workers who gave federal Labour Minister Lisa Raitt a mocking “slow clap” as she strolled through Pearson’s airy concourse. That’s the last thing the money-losing airline needs as it grapples with lower-cost rivals while being dragged down by $3.9 billion in long-term debt. As the labour disputes mount, shares of the beleaguered airline have fallen nearly 20 per cent since February and now trade at just 87 cents, compared to an IPO price of $21 just six years ago…..
Read the full story at Macleans.ca…. Southwest Airlines and Amadeus IT Group announced today that they have entered into a joint contract for Amadeus’ Altea reservations solution that would support the carrier’s international service. Now that the contract is finalised, the two companies will work closely together to implement Amadeus’ technology to allow Southwest to operate international flights in 2014. Luis Maroto, President & CEO, Amadeus commented: “This agreement is a milestone for Amadeus, both in North America and beyond. 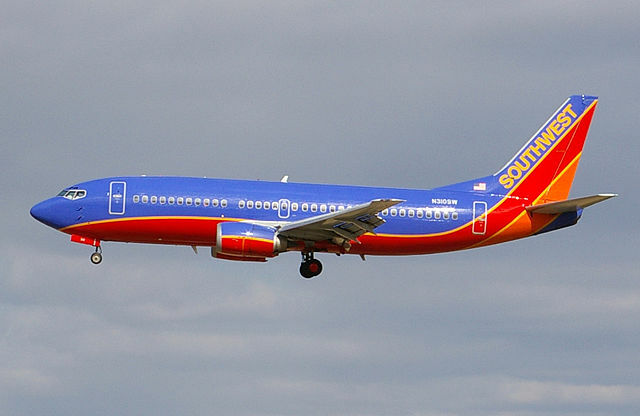 Indeed, not only is Southwest an industry leader in terms of its size, the airline is also the global ‘standard’ for low-cost carriers, celebrating 39 consecutive years of profits.”…..
Read the full story at BTN…. Southwest Airlines Co.’s first-quarter earnings soared amid positive hedging impacts and strong revenue growth. Airlines have been cutting capacity to retain pricing power and flying fuller planes amid rising fuel costs. Southwest had warned it would likely post a rare first-quarter loss, which it did on an adjusted basis, weighed down by high fuel prices and wrinkles in integrating AirTran, which it acquired last year. Passenger revenue per available seat mile, or Prasm, a key performance metric for the airline industry, rose 1.6% in the first quarter. Traffic grew 23% from a year earlier while capacity rose 25%. Load factor, or the percentage of available seats filled, was 77.3% down from 78.3%. Southwest reported earnings of $98 million, or 13 cents a share, up from $5 million, or a penny a share, a year earlier. Excluding acquisition and integration-related costs, hedging and fuel contract impacts and other items, the adjusted loss was two cents, compared with adjusted earnings of three cents. 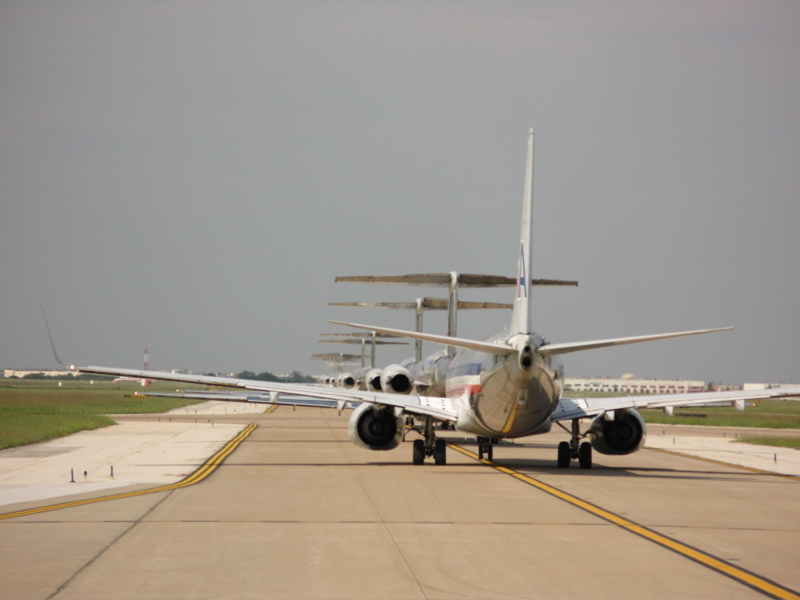 Operating revenue jumped 29% to $4 billion, aided by the AirTran acquisition. Analysts polled by Thomson Reuters had most recently forecast a loss of five cents on revenue of $4.01 billion. Read the full story from The Wall Street Journal…. Boeing’s 737 gets a makeover to add fuel efficiency. The Boeing’s 737, a commercial jet that made its debut in 1968 and the one you’ve most likely flown on is getting a makeover to fit with the new demands of air travel in the 21st century. The new version, the 737 Max, which is scheduled to make its debut in 2017, is designed with new engines to burn less fuel than its three predecessors, to help airlines pare costs and leave less of a carbon footprint on the global environment. But at its most basic, the Max will be the same 737 stalwart the traveling public has come to know the last 44 years. It’s a single-aisle jet that will ferry up to 215 passengers on both short and cross-country trips, and offer efficiency that’s helped make the 737 the best-selling commercial jet in history, with 9,745 sold. “They’re known as the workhorse of the industry,” says Mike Van de Ven, COO of Southwest Airlines, which has exclusively flown 737s since the airline’s birth in 1971. Southwest, which has the largest fleet of 737s in the world, with more than 550, is reaffirming its faith in Boeing and the 737 by ordering 150 Max jets. American Airlines is sold, too, having ordered 100 Max planes in July before seeking bankruptcy protection in November. A cheaper fuel bill could mean that rising airfares may not rise so quickly, say travel industry analysts. Outfitted with new engines, the Max will use 10% to 12% less fuel than its most current Boeing peer, the Next-Generation 737, company officials say. That holds particular appeal for airlines, with jet fuel making up 25% to 40% of their costs, and whose profitability is threatened as the price of crude oil stays around $103 a barrel as it was on Friday…..
Read the full story at USA Today….. The severe weather affected flights and aircraft at area airports. More than 110 aircraft at Dallas-Fort Worth International Airport sustained various degrees of hail damage, the airport said. It reported airlines canceled 400 departures, and 40 incoming flights were diverted to other airports because of the storm. Southwest Airlines, meanwhile, canceled more than 40 flights at Dallas Love Field, while American Airlines canceled all flights through Tuesday evening at Dallas-Fort Worth, one of the world’s busiest airports. The announcement, made via Twitter, was likely to affect American flights in other parts of the country. In all, American and its American Eagle partner airline canceled 234 outbound flights, according to a statement from American.